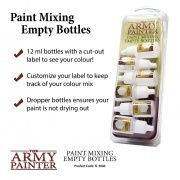 These 12ml paint bottles are used to customize your paint by mixing different colours together. See-through labels let you see your new custom paint colour. You also get space on the label to make notes on what paint was mixed in. 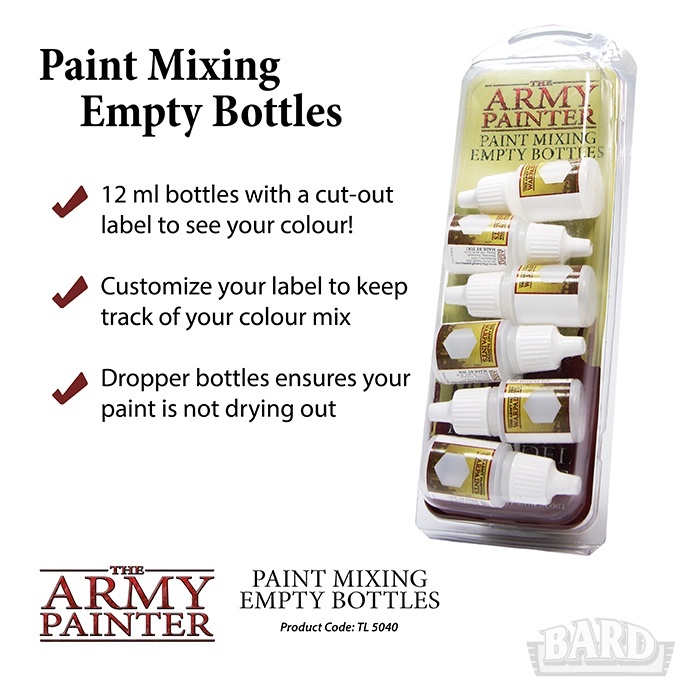 6 x 12 ML BOTTLES WITH A CUT-OUT LABEL TO SEE YOUR COLOUR!